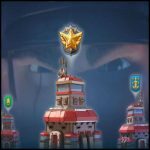 The "Heroical" update: opinion | Boom Beach. All about the Game! The “heroical” update: opinion. Poll. Finally, the long awaited update was released… And almost two weeks has passed since that event. I’m sure that for these two weeks every BB player has made own opinion about that update, about heroes and their abilities etc. In this post I want to tell what I think about released update and ask all of you about the same by conducting a small poll. What do you think about the last released update? Awesome! The Game has become much more interesting! I really like the idea with heroes! As for me, I think last update is really good and heroes with trader have put some variety into the game. In addition the devs assured that they will continue to work in this direction and we will see new heroes in the future. In any case it was much better than just increase the amount of HQ or Gunboat levels… No, there is, off course, some cons in that update, but as they say every man has its own taste and it’s impossible to please everyone. As for the heroes, I prefer sergeant Brick with her Battle Orders. In case with “scorcher+tank” combo it works great. As to Cpt. Everspark I use her only with the Remote Control ability, but there is one huge minus in this ability – very often the hero choose the building for “hacking” which is under the fire of our other units and in the moment when the building takes our side it is almost destroyed. But sometime this ability works great and captured building makes good help to us in attack. New ideas, that can make the Game better (statues). 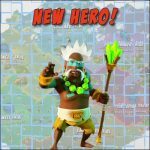 A new Hero, a new level of Radar and other – in the upcoming game update! 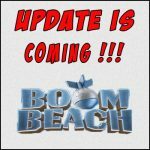 The November update of Boom Beach (The Imitation Game). Opinion. 2 Responses to The “heroical” update: opinion. Poll. 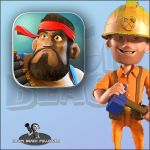 Are you still playing boom beach? What is your task force name? I am hq 19 in tf indian monsters. Do you also post update concepts? 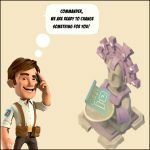 Do you know when Supercell id will come to boom beach? Yep. I’m still playing bb. Tf is chicklets (main acc) and boom and burn (second acc).